A Class Act Inside and Out! 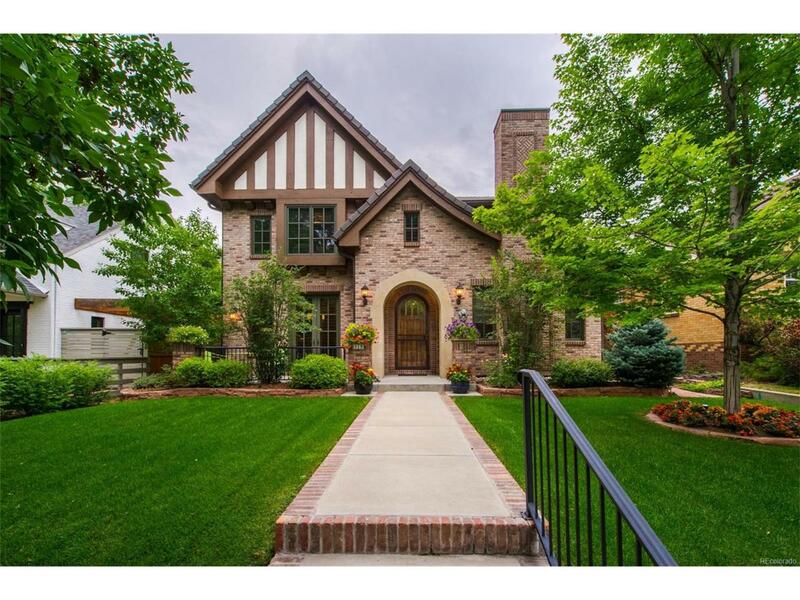 Elegant curb appeal might make you think this 2-story Tudor is much older, but it's only 10 years young! The floor plan is simple and timeless, with an elegant herringbone-patterned walnut floor in the center hallway that leads to an open-concept kitchen / family room space that opens to the backyard. The 2-car garage connects via a mud room and bench area directly into the kitchen - convenient! Hardwood floors anchor all the main floor rooms, including a beautiful living room with a fireplace, a French-doored study, and a nice butler pantry. The kitchen is fully loaded with honed granite counters, a 6-burner Wolf cooktop/range and hood, dark-stained wood cabinetry, and a *huge* island. All the bedrooms upstairs have full ensuite baths, and the master has a private Juliette style balcony. The basement finish includes an additional bedroom, rec room space, and unfinished storage areas. The back patio is ready for late summer al fresco dining. Gorgeous!